A range of other Porsches were paraded up the driveway including 356s (including some lovely Carreras), 911s of various types, 914s, 911 Turbos, 911 2.7 and 2.8 RSRs and some rare race cars including a great looking and sounding ’72 911 2.5 ST. Some great cars were on display, there were lot’s of experts available to grill about old Porsches and the sun came out. What more could you want? Amongst all of the cars – two caught my eye:- the wonderful 356 Abarth from the Porsche Museum and the equally lovely 904 Carrera GTS. 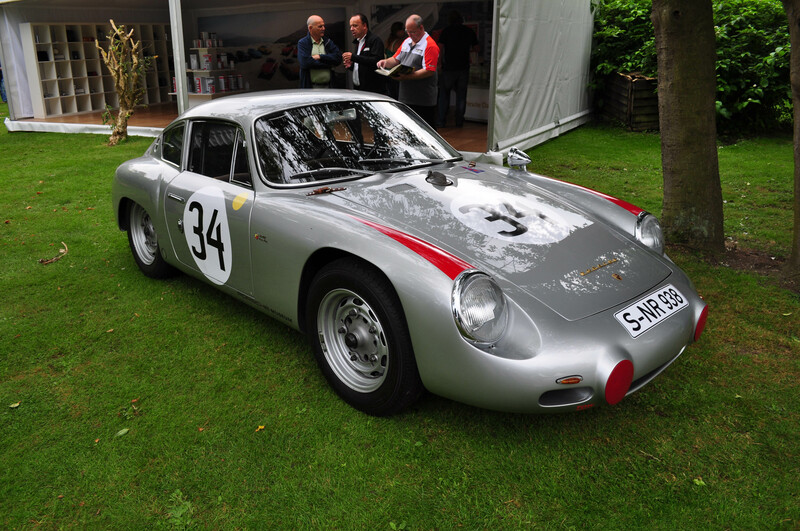 As the full name of the car implies – this car was based on a 356B chassis and running gear but with a radically different lightweight aluminium GTL (Leicht = Lightweight) body created by Carlo Abarth. 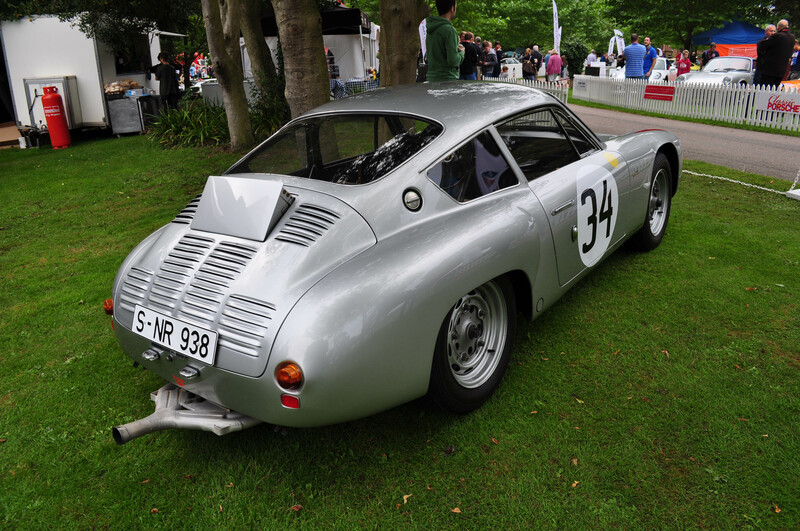 This enabled Porsche to exploit a loophole in FIA regulations between 1960 and 1961 which placed an emphasis on the chassis and engine rather than the bodywork. Karl later Carlo Abarth was an Austrian (born in Vienna) who became a highly successful motorcycling champion before changing his focus to 4 wheeled vehicles and becoming a naturalised Italian. His close links to the Porsche family and his involvement in Cisitalia (for whom Porsche developed the advanced T360 Flat 12 GP car) made hims a natural choice to come up with a hand built lightweight body for the racing project. His initial promise of using Zagato to design and build the lightweight bodies evaporated as Abarth’s relationship with this coach builder ended leaving him to rely upon Franco Scaglione for the super lightweight and aerodynamic aluminium body design and then on Rocco Motto to churn out the remaining 20 cars making a production run of just 21. 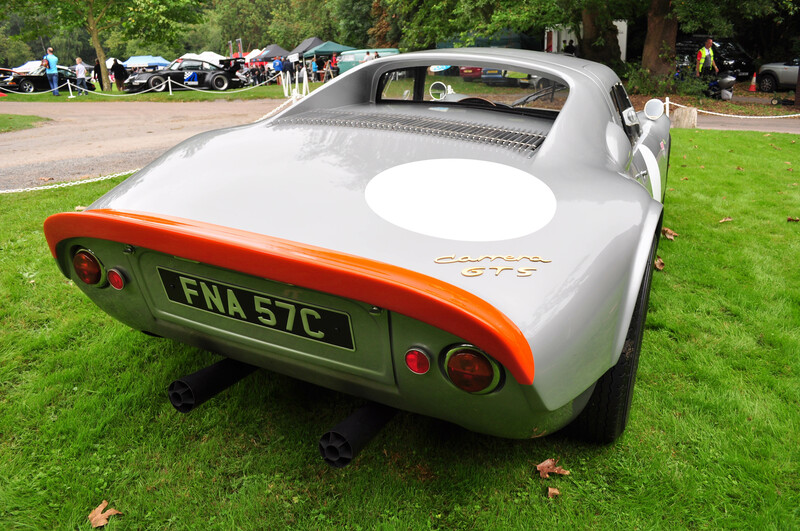 Bodywork design featured a very low nose, lowered roof line and a stubby bulbous rear end punctured with multiple louvres to keep the Fuhrmann 4 cam Carrera motor cool. It also had an adjustable air scoop at the top of the rear deck. This package delivered an incredibly low drag coefficient of 0.365 Cd (as compared to 0.398 Cd for the normally bodied Porsche 356B). The engines used in the 356 Abarth were the 1.6 Litre 4 cam units designed by Ernst Fuhrmann which delivered between 115 and 135 bhp. It wasn’t the best built or most comfortable of cars to drive due to it’s radically lowered and cramped cockpit but despite these issues – it had sufficient power to weight ratio to deliver multiple racing successes especially in endurance events. 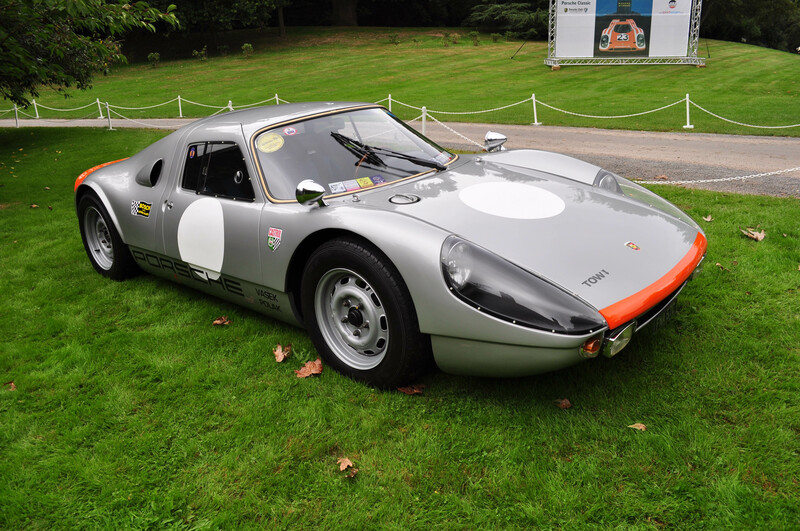 Having gone down the unusual route (for Porsche) of outsourcing design and bodywork to a 3rd party for the 356 Abarth – the 904 was a return to the in-house Porsche approach. In this case they even kept things in-family by appointing a member of the Porsche family to design it! The beautiful 904 design was penned by Alexander (Butzi) Porsche – son of Ferry Porsche and later founder of Porsche Design. To my mind the 904 along with Butzi Porsche’s other triumph – the original 911 are elegant and timeless designs. Whilst the 911 steadily evolved over the last 50 years the graceful lines of the 904 seemed to disappear only to magically resurface as the ground breaking 918. That’s not to say that the 904 was a design cul-de-sac, quite the contrary as it paved the way for some awesome lightweight and powerful mid engined racers such as the 906, 908, 917, 956 and 962 that eventually dominated the sportscar and endurance racing scene during the late ’60s, ’70s and ’80s and which also blitzed Can-Am racing. 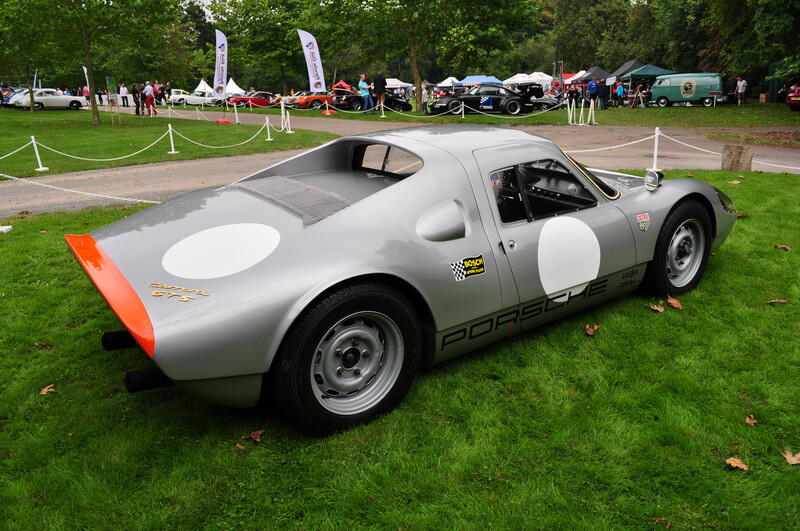 Coming back to the 904 -it was unusual for Porsche at the time in combining a fibreglass body bonded to a ladder chassis with a mid mounted 2.0 Litre Fuhrmann 4-cam motor. A few of the later cars were fitted with the 2.0 Litre 911 flat-6 engine and a couple were even fitted with flat-8 engines. 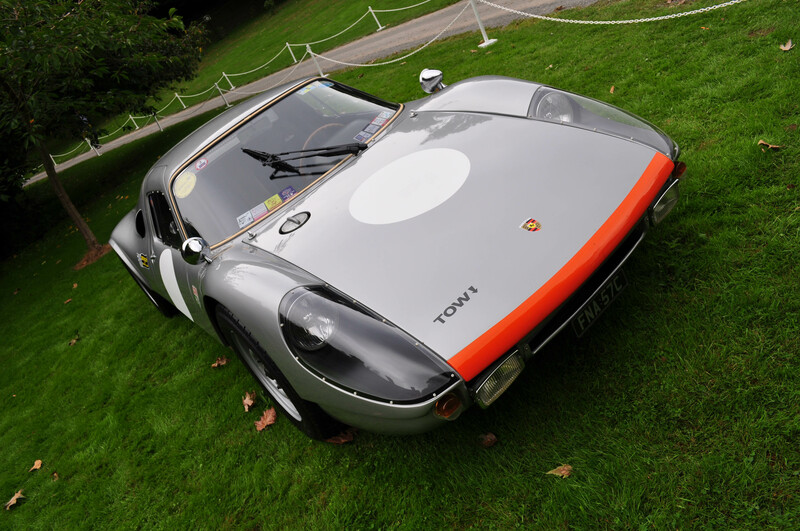 In total – around 106 904s were built and they proved to be highly successful outright and class winners in sports car races during 1964 and 1965. All in all – a very pretty and purposeful car! Early 911 Swedish Rally Car + some ideas for new curtains!!! 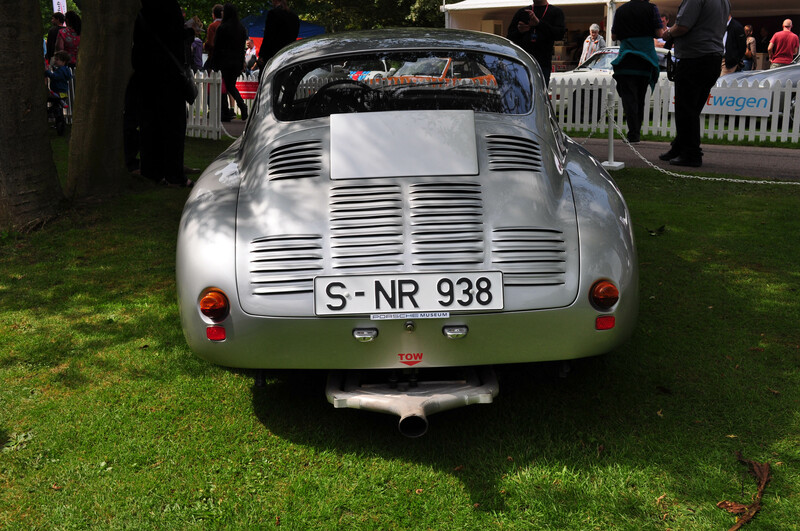 Count the louvres on the Porsche 356 Abarth!